Continuing with the Smart Classroom initiative, six more classrooms underwent major renovations this summer! This was a major collaborative effort from multiple departments. Our improvements focused on community feedback requests and future proofing the classrooms. Not to delve too deep into specifics, but the Thin Client technology is pretty interesting. These mini computers are fairly low powered machines that are capable of running some robust software. This is possible through application virtualization. 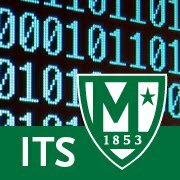 All processes like Excel and PowerPoint run on Manhattan College servers and display on the Thin Client as if they were running locally. With application virtualization, you can reduce the cost of computer hardware upgrades because all of the processing power needed for future apps is required of the server not the Thin Client.